Here’s a pretty cool story. TUAW received an email from a US Air Force Combat Controller eager to share his exciting story about his iPhone 4 that fell out on the job. As Ron Walker was checking for landmarks to prepare parachute jumpers up at 1000 feet, his iPhone 4 fell out of his pocket as the Velcro seal flew open. Ouch. The plane was traveling at 150 MPH (240 KMH!). Mr. Walker obviously assumed his precious iPhone 4 was gone forever and possibly destroyed from the fall, right? Wrong. 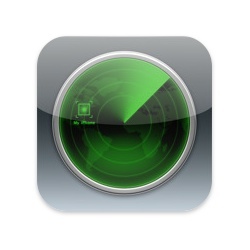 Turns out one of his colleagues installed Find my iPhone on his phone! Once on the ground, Mr. Walker and his colleague jumped onto ATVs and found his iPhone 4 in the woods 2 miles away. Surprisingly, it was still in perfect working condition, as Mr. Walker described, “not a scratch on it, not even dirty.” The phone was inside a Griffin Motif case, but that was about it. Cool story. Not a lot of things survive a 1000 foot drop from a plane, let alone a phone. The moral of this story is that we should all super glue our iPhones to our hands (some of you already have done this). That way, it won’t be going anywhere. Have you ever experienced a similar freak situation, only to have Find my iPhone bail you out? Apple to License AirPlay to Television Manufacturers?